The work of Frohawk Two Feathers, pseudonym of Chicago-born and L.A.-based artist Umar Rashid, is steeped in folklore. For the better part of ten years the artist has visually explored narratives of colonialism through paintings and exhibitions that cumulatively function like chapters in an epic fantasy. 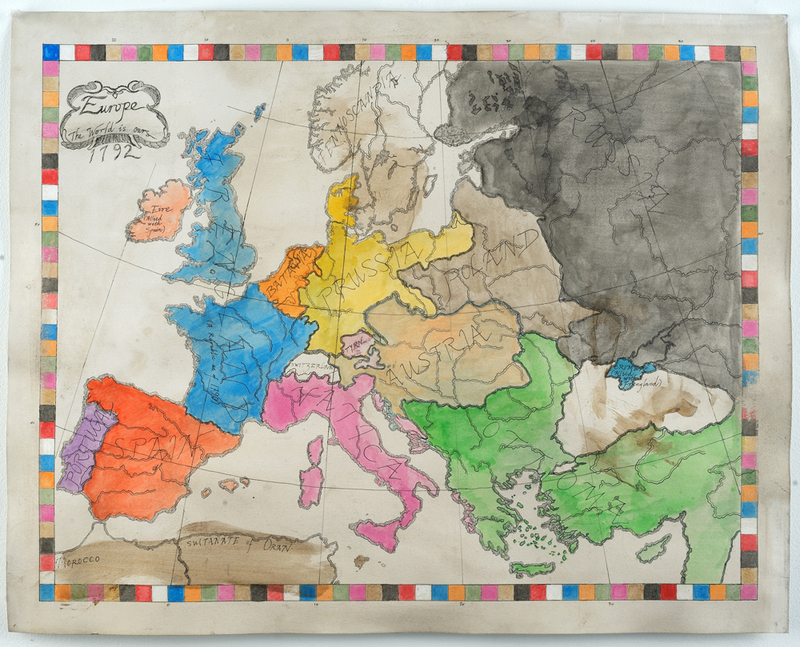 In his narratives, Two Feathers imagines the 18th century Frenglish Empire — France and England united as a massive colonizing force — and with each subsequent show he parses an intricate cast of global characters through coups, assassinations and challenges to the crown. His current show—“Every Winter Was A War,” She Said, at Heiner Contemporary—comes on the heels of recent shows in New York and South Africa, and precedes (by only a few weeks) the artist’s first solo museum exhibition at the Denver Museum of Art. In other words: not only is the artist quickly becoming a darling of the art world (ask Oprah), he’s also a very busy man. “Every Winter Was A War,” She Said is a collection of new paintings produced specifically for his show at Heiner, the artist’s first in D.C. It’s an introduction to the women warriors of the Frenglish Empire, intrepid and worldly and lean. 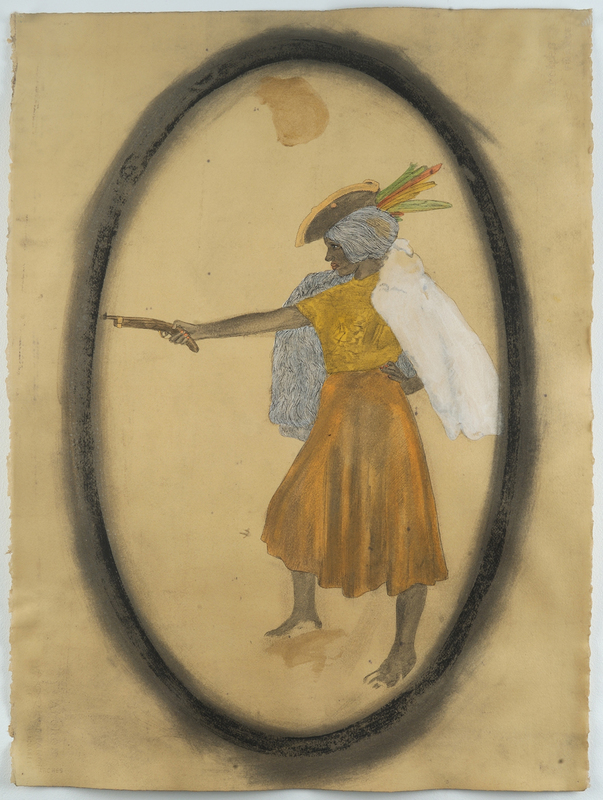 Elements of 18th century English and French portraiture provide the backdrop for Two Feathers’ compositions, while his mark making borrows from American folk art and a faux-naive painting style that is very current. It’s a balancing act between the historical and the contemporary — both stylistically and conceptually — and one that reveals a deft and subtle understanding of the visual queues of myth-making within reconstructed histories. 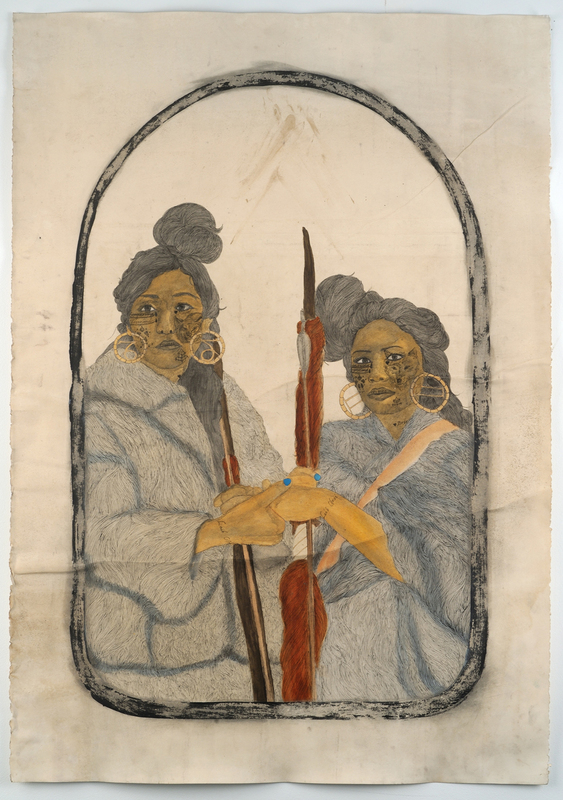 Note the facial tattoos of the subjects in Two Feathers’ portraits. Modeled after the ink of modern-day gangs, they communicate an intricate system of romantic and political allegiances. Such references to urban street culture abound in the artist’s work, ever so slightly mucking up the picture of colonialism’s winners and losers. It’s not an overt transformation of history — Europe still does most of the conquering and slaves are still traded out of Africa — but it sets the mind aflutter. And once we begin to imagine a colonial history that is just a bit askew, then we have no choice but to obliquely contemplate the immediacy of colonialism’s cruel trajectory. 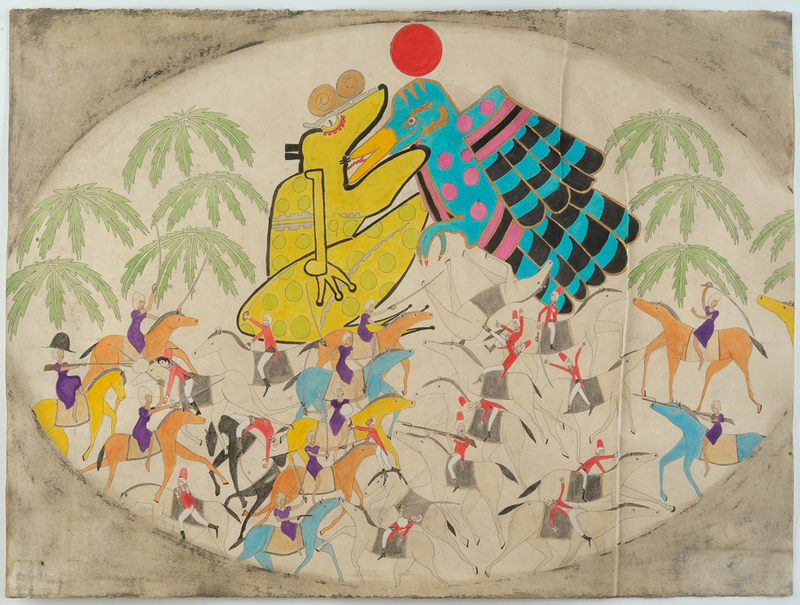 Frohawk Two Feathers’ “Every Winter Was A War,” She Said is on view through June 9 at Heiner Contemporary, located at 1675 Wisconsin Avenue NW. The gallery is open Tuesday through Saturday from 10 a.m. to 5 p.m. or by appointment.